Note: Sandbags are highly recommended to secure this item. Stakes will not hold canopy securely in place in even mildly windy conditions. Includes carrying bag, tie downs, and stakes. Not intended for use in inclement weather or wind-prone areas. 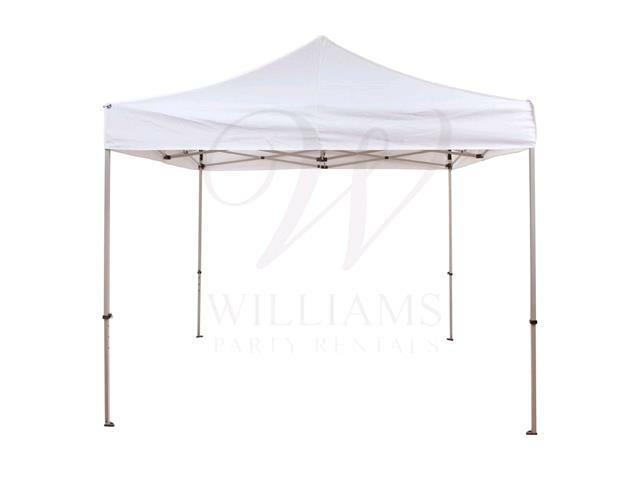 Customer is responsible for set up and take down of pop up canopy.